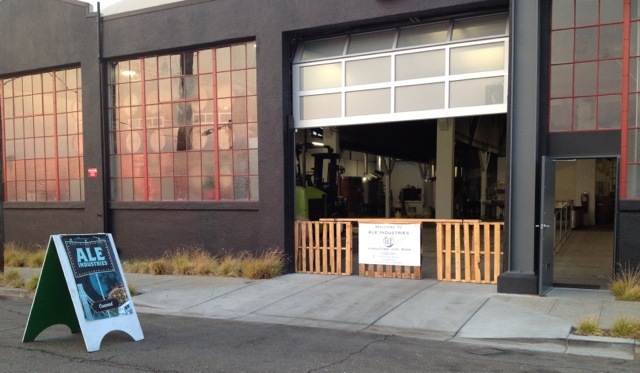 Having outgrown its former Concord location, Ale Industries relocated to the Fruitvale District of Oakland, and opened a taproom area in the new brewery. Fruitvale is a neighborhood that’s trying very hard to remake itself. There are signs of a neighborhood on the rise. The Ale Industries brewery is in a large warehouse offering plenty of space for its current biodiesel brewing system, fermentation tanks and barrels, with room for expansion. The tasting room, called the Jingletown Jazz Room, offers the AI house beers and hosts art exhibits and sometimes live music. The tasting room is open every day. There is no food but there are plans to have food trucks park outside when the taproom is open. Official Fruitvale Station and local bus info.